Very Good. 2080200739 ALL BOOKS SHIPPED WITHIN 1 DAY OF PURCHASE! Good. 2080200739 ALL BOOKS SHIPPED WITHIN 1 DAY OF PURCHASE! Very Good. Shares the well-kept secrets of how Parisian women maintain effortless glamour and timeless allure. This title offers pointers on how to dress like a Parisian, including how to mix affordable basics with high-fashion touches, and how to accessorize. Trade paperback (US). Sewn binding. 239 p. Contains: Illustrations, black & white, Illustrations, color. Good. 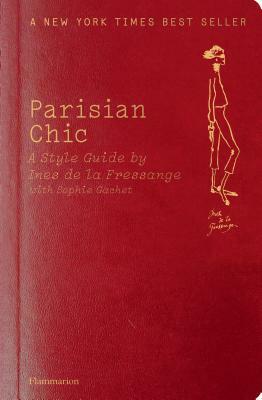 Shares the well-kept secrets of how Parisian women maintain effortless glamour and timeless allure. This title offers pointers on how to dress like a Parisian, including how to mix affordable basics with high-fashion touches, and how to accessorize. Trade paperback (US). Sewn binding. 239 p. Contains: Illustrations, black & white, Illustrations, color. I am thoroughly enjoying this book. Great advice through and through. I am thrilled with all the inside Parisian links and addresses. Plus all that Parisian savoir faire. Loving this book, I will buy more copies to give out to my nieces and people that really matter.